I am a little behind starting this year’s running booklist. I keep all my booklists and crafts made lists here, and this post will get updated as the year goes on. Other alphabet booklists: “A” Books, “B” Books, “C” Books, “D” and “E” Books, “F” Books. I have gotten so behind on these, I haven’t posted an alphabet booklist in almost 2 months. Well, back to it now. 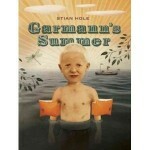 Garmann’s Summer by Stian Hole. This is such a strange and lovely little import from Norway. Garmann’s summer is ending, and first grade is on its way. But Garmann’s perfectly childlike thoughts about time and the unknown future ring slightly truer as a back to school book than the traditional stories of anxious anthropomorphic creatures (why are they always mice?) going through the standard catalog of kid feelings. All of these books have their place, and it may take a few reads to really absorb Garmann’s charms, but he’s worth it. 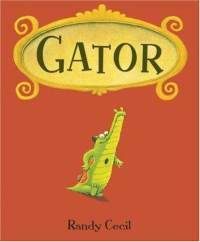 I’ve read more than one review that finds this book about a nostalgic gator kind of depressing. But I don’t know, I find most of Randy Cecil’s illustrations charming, and there’s something about that Gator. But at the same time, I’m not racing to purchase this one and bring it into a readaloud. Gator used to be part of a popular carousel, but when the amusement park shuts down he sets off on his own little odyssey for company. Complete with a hole in his heart where the carousel pole used to be. Okay, maybe a bit heavy-handed with the loneliness theme, but it has its qualities. George and Martha by James Marshall. Well, there’s George. And there’s also Martha. What else can you say about this absolute classic from James Marshall? 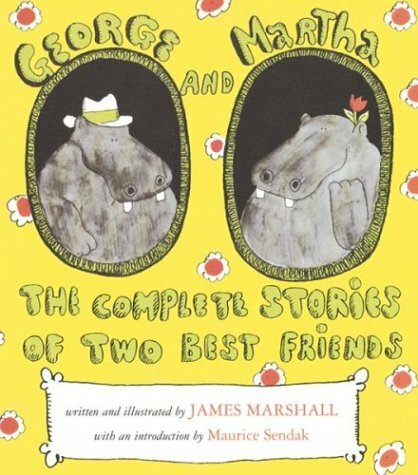 I’m probably more amused than is appropriate by the shared names with America’s first First Family, and that is solely because Marshall’s pair are hippos. Worlds collide as the 5-year-old in me clashes with the sensible adult who thinks such things make no sense whatsoever. And yet they do. I’m so conflicted! But the adventures of this larger than life pair of best friends are just awesome and timeless. 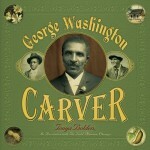 George Washington Carver by Tonya Bolden. This is an exceedingly good looking biography of the famous peanut innovator, from an author who excels at that sort of thing. I love children’s biographies, they are full of great stuff that kids love and that I still wonder at as a grownup. 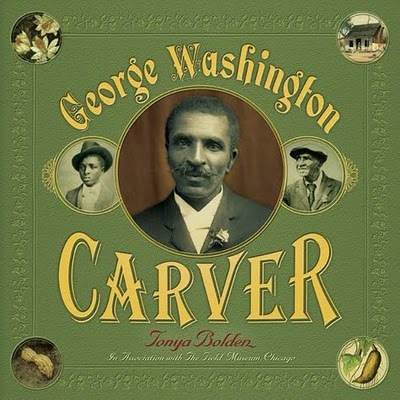 Every time I read one I think, “Why didn’t I know that before?” This one helps educate us all about Carver, who was so much more than just the Peanut Man. He was amazing: born a slave and died a brilliant conservationist. This biography is worthy of his achievements, absolutely. 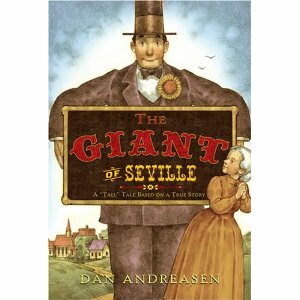 The Giant of Seville: A “Tall” Tale Based on a True Story by Dan Andreasen. I think this is such a great book that could be tied into a number of subject lessons. Or just for fun, it’s pretty awesome. Captain Martin Van Buren Bates was nearly 8′ tall and almost 500 pounds. And in this biographic yarn, when he moves to the sleepy town of Seville, OH the townsfolk bend over backwards to make him and his wife feel at home. This warmed my heart, it just did. The way the people of his adopted town accept him and help him is just such a great lesson to read to kids. He’s the most exciting thing to happen to that town, and rather than ostracize him they embrace him as a fascinating new friend. I hope he was really treated that way. I Wikipedia’d him, and now I am in awe of his wife. She gave birth to a stillborn 18 pound baby. I want to read this story to the kids and HER story to myself. Other alphabet booklists: “A” Books, “B” Books, “C” Books, “D” and “E” Books. This is a long one, I had no idea how many “F” books I’ve read and loved! Thought this was a good “F” is for “Friday” kind of post. 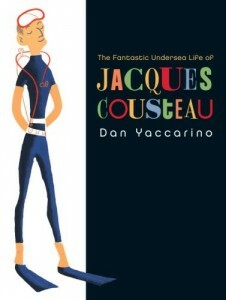 The Fantastic Undersea Life of Jacques Cousteau by Dan Yaccarino. This is an absolutely gorgeous children’s biography of the famed undersea explorer. Dan Yaccarino’s whimsical style of illustration suits the story of this oceanographer and inventor perfectly. It’s a fanciful book, with just enough of a taste of Cousteau’s life to have kids asking for more books about him and the sea. This is a great one for any little person obsessed with underwater creatures and exploration. I like quiet, pastoral stories, and this one is as quiet and pastoral as they come. Cooper’s books are always beautiful, and I love that he takes everyday things and elevates them to full-on experiences with his art. 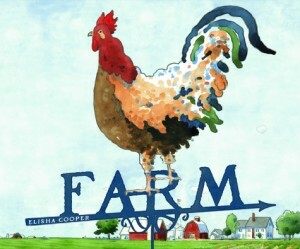 Instead of focusing on the farm’s animals, which children’s books about farm life often do, this one focuses on the family that actually runs the farm. And the hard work that’s involved, the much-appreciated time relaxing, the real animals that live and work there. It’s a slice-of-life, and it’s beautiful. Farmer Duck, written by Martin Waddell and illustrated by Helen Oxenbury. 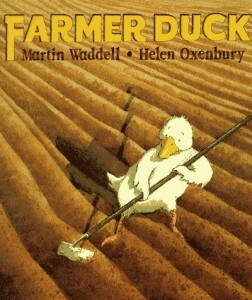 Here is another book about farm life, this one centered on a duck. A put-upon saint of a duck that does all the work while the lazy farmer sits around eating and relaxing. The duck never complains, just quacks when the farmer asks him if all the chores are finished. And then the other farm animals decide enough is enough, they are going to help their hard-working friend Duck once and for all. And they kick the lazy farmer off the farm and live happily ever after. Shades of “The Little Red Hen” make this a great story to pair with it and talk about the importance of sharing the workload. Other alphabet booklists: “A” Books, “B” Books, “C” Books. It’s time for the 4th installment of my Alphabet Booklists. These are really forcing me to look back at the books I’ve read and loved but never shared. I should probably say again that the books on this list don’t include every book I’ve ever read starting with this letter. If I’ve already blogged about it, it’s also not on here. Other alphabet booklists: “A” Books, “B” Books. Getting sick set me behind on my planned schedule for alphabet booklists, so I’m just now getting to the “C”s. Agh! 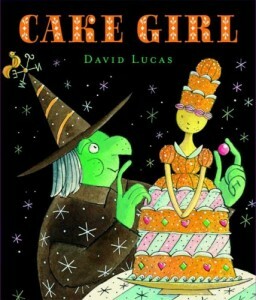 Cake Girl by David Lucas. One of my New Year’s resolutions this year was to post about more books. I feel like I didn’t do enough of that last year. So I’ve decided to post some alphabet booklists throughout the year, focusing on the first letter in the title rather than subject. I won’t hit every book in every letter, but I’ll pick my favorites. I think I’m due for another Halloween booklist. This is such a great time of year for picture books, it’s definitely worth rounding up a few more since last year. 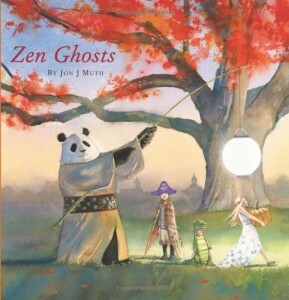 Zen Ghosts by Jon J. Muth (2010). As far as I’m concerned, Stillwater the panda can do no wrong. Jon J. Moth’s Zen Shorts (2005) and Zen Ties (2008) are some of the most soothing, gentle, genius children’s books of the last five years. And now he’s written a Halloween story that sidesteps a lot of the gimmicks holiday stories fall into with a Stillwater ghost tale that is far more thoughtful than books for this age group tend to get. After the trick or treating is finished, a mysterious storyteller arrives (is it Stillwater?) to tell Michael, Karl, and Addie a ghost story that we don’t realize is a ghost story until the last breath. And it succeeds in being beautiful and touching rather than scary, I think. A love story about a woman in 2 places at once. I think it’s every bit as strong a book as the first two Stillwater adventures, and I was surprised by how much the story of Senjo moved me. A standout, and not just in Halloween stories.